Please Donate Blood This Winter! 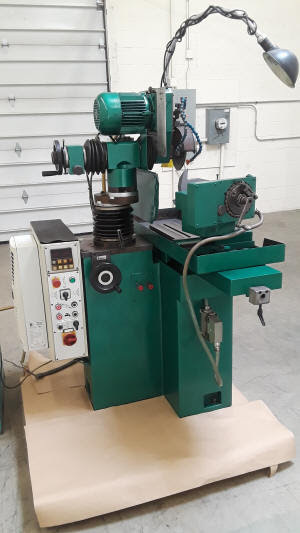 Your home for buying and selling used and new sharpening machinery. All these ads are owner generated. You deal directly with the machinery owners and arrange payment, shipping, options, etc. We eliminate the middleman and the hassle of selling your used equipment. We offer you a new world of possibilities when it comes to disposing of your equipment. Financing and shipping can be arranged from our office at no additional charge to you! Your machinery will be actively marketed to saw shops all over the USA, Canada and Mexico and the rest of the world. 280 machines sold to date, make yours next! Akemat, Walter, Petschauer, Wright, Stehle, Saturn, Reform,Talon, Maximum MVM, Vollmer, Acme, Iseli, Widma, Reform, Armstrong, UTMA, Rekord, Foley, Gockel, Schmidt Tempo, Fezer, Torit, Acme, Cantec.